The Airline Division’s biennial conference held yesterday had a celebratory moment as CUPE 4059, representing Air Georgian flight attendants, officially joined the Division. 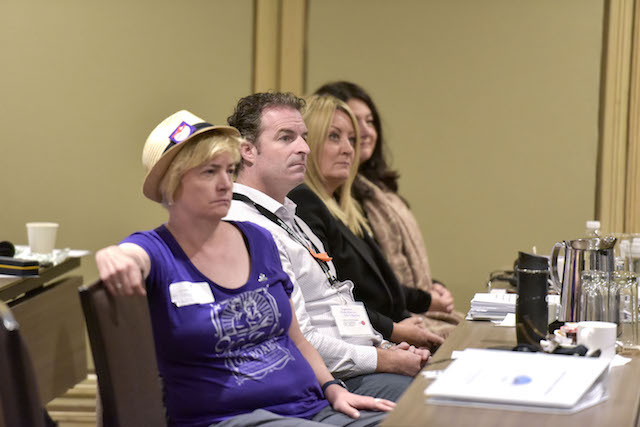 Delegates unanimously approved a bylaw amendment making the Ontario local the ninth member of the Division for CUPE’s airline locals and components. The 100 flight attendants at Air Georgian joined CUPE earlier this year. 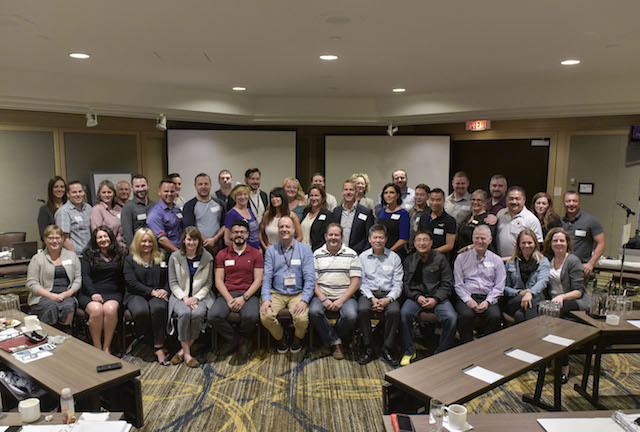 The Airline Division, which traditionally holds its biennial conference on the eve of National convention, has 11,500 members across Canada and continues to grow. If the current organizing drive at WestJet is successful, 3,000 more flight attendants will join CUPE’s ranks. “As Canada’s largest union, we have an obligation to bring the strength of our organization to protect unorganized workers”, said National President Mark Hancock. “ This continuous influx of new members contributes greatly to our power as a national union. If CUPE is strong, it’s because every member does their part,” added National Secretary-Treasurer Charles Fleury. The conference stressed the need to continue the fight to restore the safer one-flight-attendant-per-40-passenger ratio. Delegates also discussed fatigue, toxic fumes affecting onboard air quality, and how Bill C-27, if adopted, will erode the defined benefit pension plan of Air Canada mainline flight attendants.